We’re experts in radiator sales and repairs after many years in the industry. Our qualified team can help you with all your cooling system needs, including re-cores, rebuilds, exchange radiators, and parts. Our qualified mechanic performs a full radiator service on all cars and light vehicles, which involves an inspection of your cooling system, drive belt and hoses, flushing, cap, air pressure test, replacement of fluids, and radiator replacement. If you’re experiencing any of these signs, book your vehicle in for a radiator service today. Call Cardiff Car Clinic (02) 4954 7089. Get in touch to learn more about our range of radiator products for sale. We only stock quality parts and products, guaranteeing you the best value for money on your purchase. 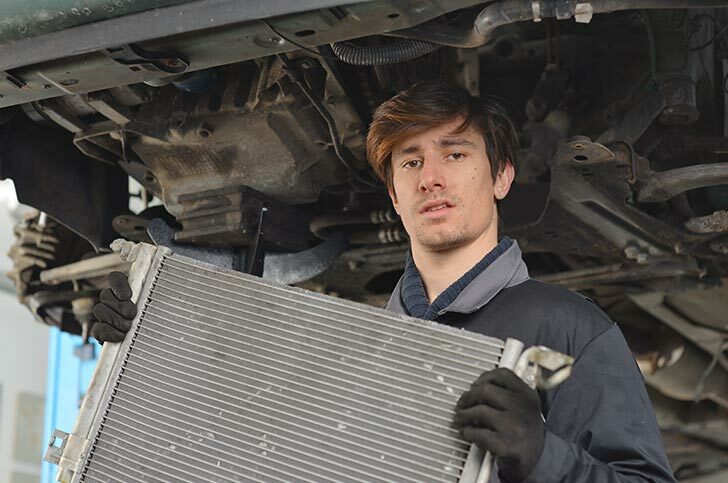 Call Cardiff Car Clinic on (02) 4954 7089 to discuss your radiator needs with our qualified team.